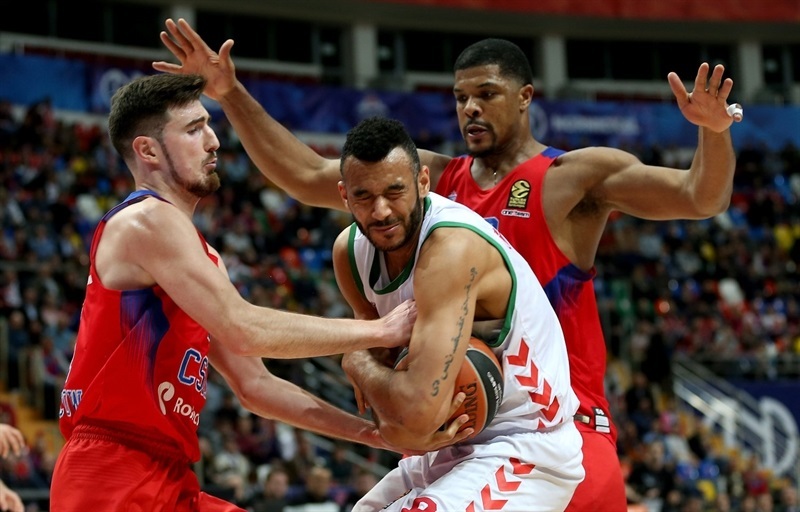 CSKA Moscow held off a spirited challenge from Baskonia Vitoria Gasteiz to take early control of their playoffs series with an exciting 98-90 home win at Megasport Arena. 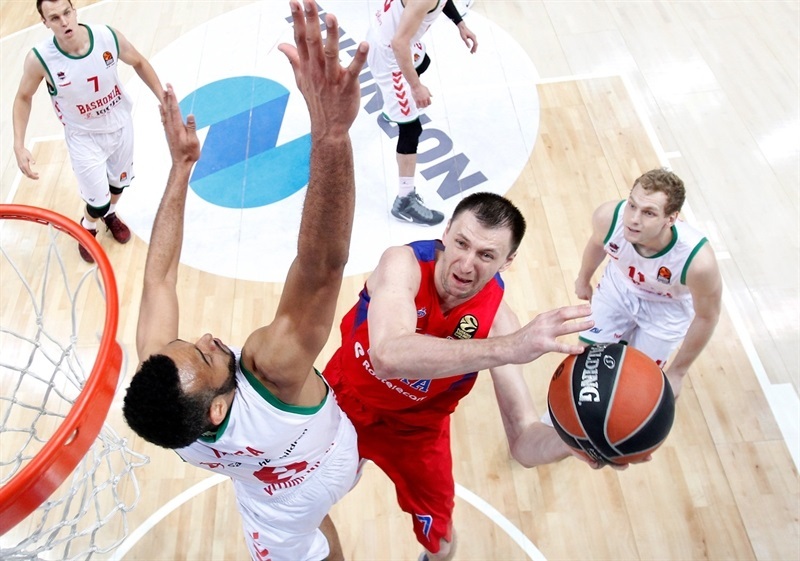 CSKA was pushed all the way as Baskonia battled hard to stay in contention, repeatedly resisting the home team’s attempts to establish a big lead, and the visitors were leading late in the game. 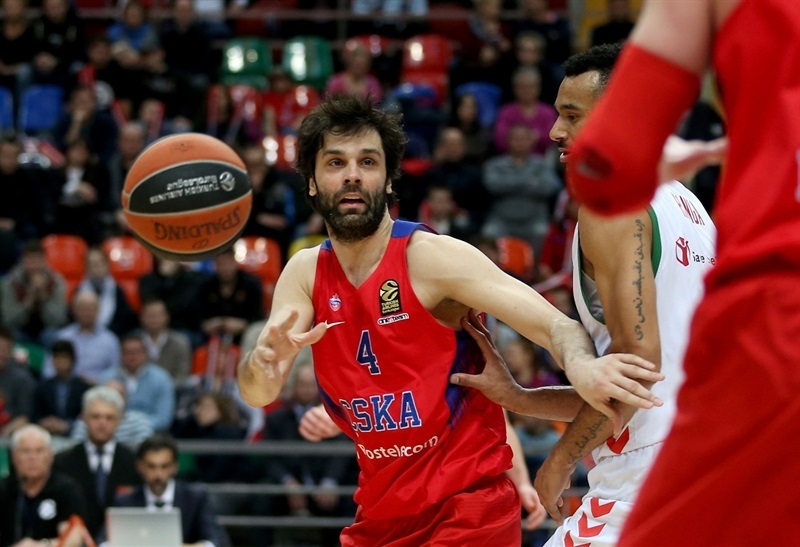 But in the end CSKA had just enough offense at crunch time, with star guard duo Milos Teodosic and Nando De Colo finishing with 22 and 17 points respectively to lead their team to victory. Cory Higgins added 12 points, and James Augustine combined 9 points with 5 rebounds and 4 steals. 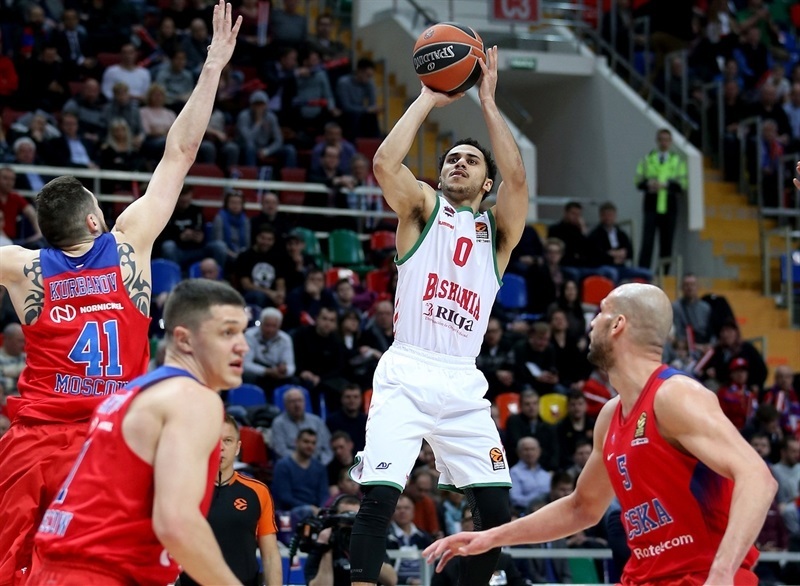 Baskonia was paced by 17 points from Shane Larkin, with 15 of those coming in the final quarter. Rodrigue Beaubois shone early and finished with 13 points, while Johannes Voigtmann, Adam Hanga and Toko Shengelia all added 12. 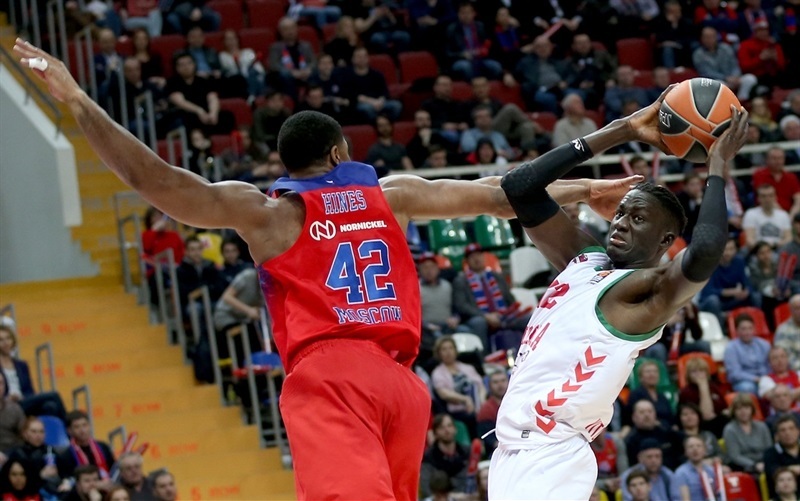 Beaubois fired Baskonia to a fast start, scoring all his team’s points as the visitors went ahead 4-7. 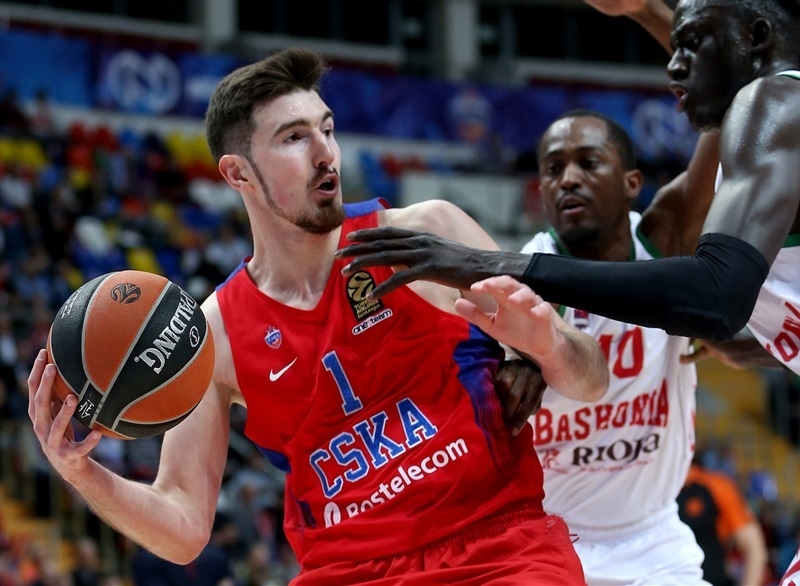 But De Colo responded with 5 points of his own, and CSKA took its first lead as a fast-break lay-up from Aaron Jackson highlighted a 6-0 run. 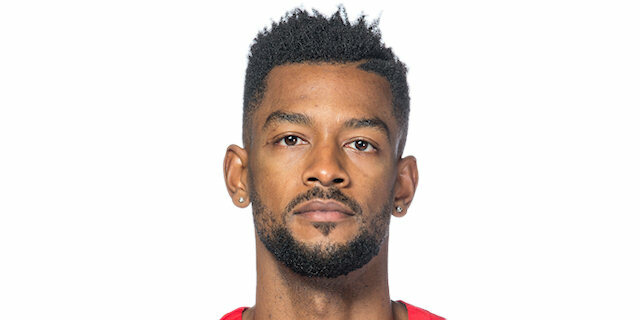 That lead soon extended to double-digits as a big block from Kyle Hines led to a triple from Vitaly Fridzon. 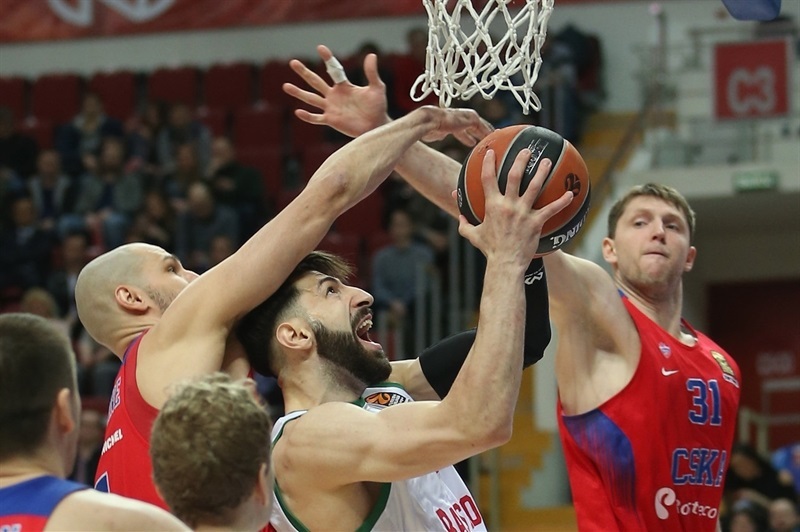 Shengelia came off the bench to score 5 points in a row but CSKA led 26-19 at the end of the first after Fridzon beat the buzzer with a skillful lay-up. 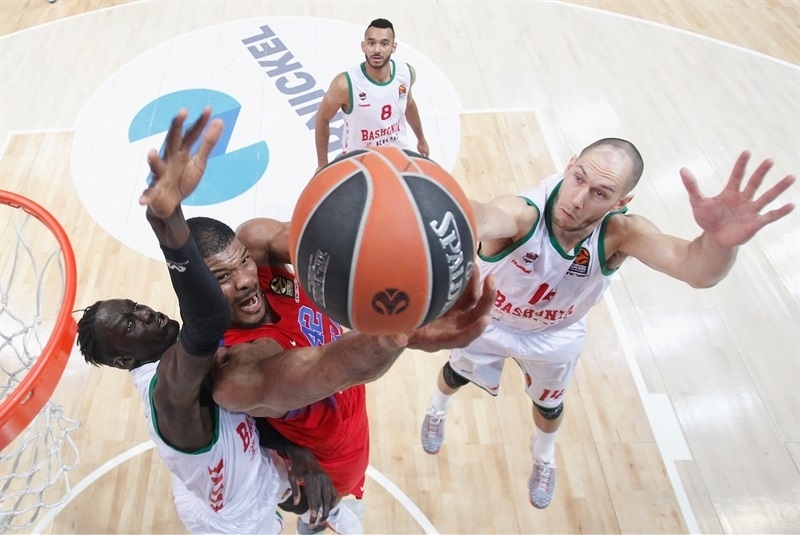 Rafa Luz and Hanga hit triples as Baskonia came back and another triple from Beaubois made it 33-35. 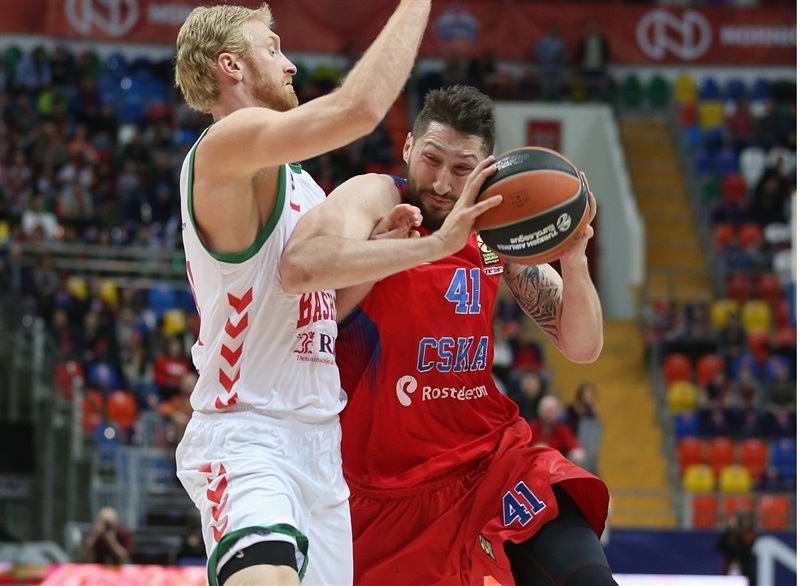 De Colo sparked CSKA’s offense back into life with 4 points, and back-to-back triples from Teodosic made it 44-40 at half-time. 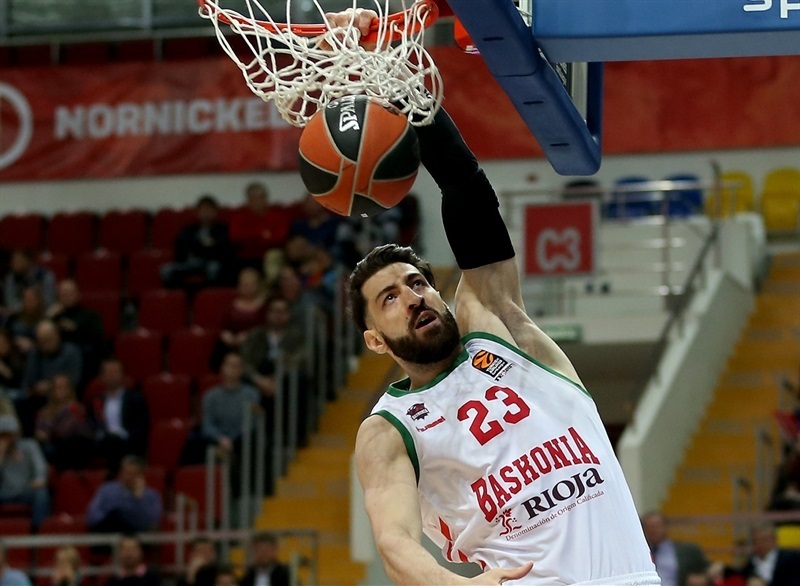 The home team’s defense stood strong early in the third quarter to establish a 51-42 advantage, but Voigtmann scored 5 straight to get Baskonia going. The third quarter stayed close as the teams traded baskets, before Higgins scored 5 in a 9-2 run and it was 72-62 at the end of the third. 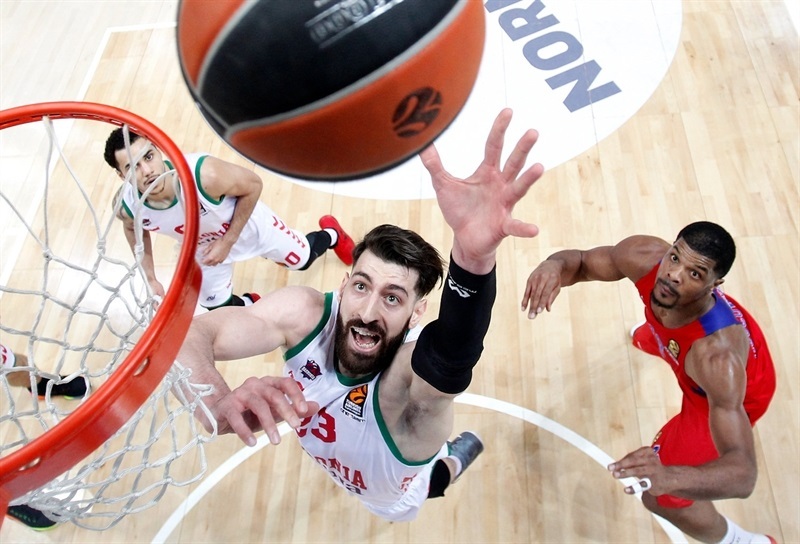 But Baskonia would not roll over and Larkin – who was scoreless for the first 29 minutes – hit four triples to help tie the game at 80-80 with five minutes to play. 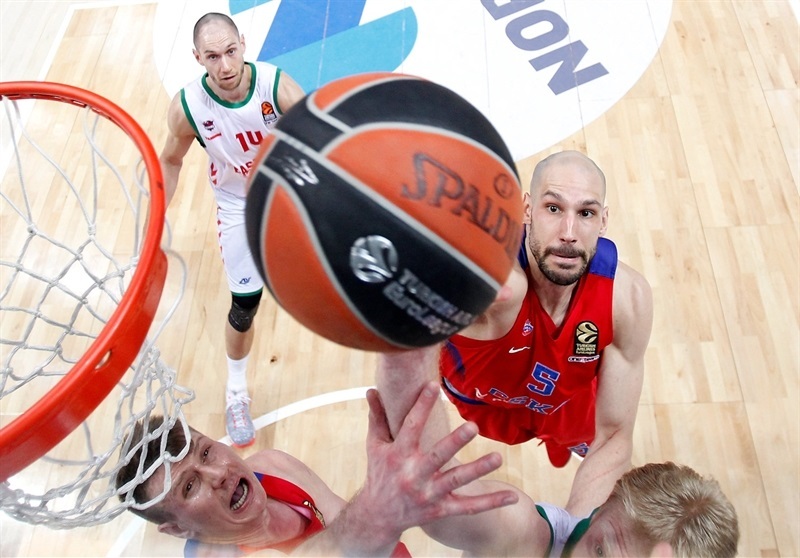 Larkin’s three-point play gave Baskonia its first lead of the half. 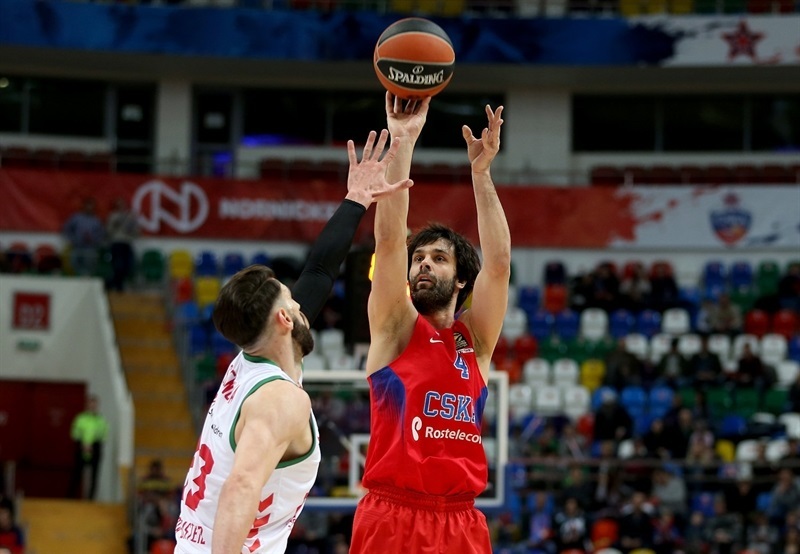 The visitors led 88-90 entering the final 2 minutes, but Teodosic’s triple and De Colo’s lay-up sent CSKA ahead 93-90 with a minute remaining. 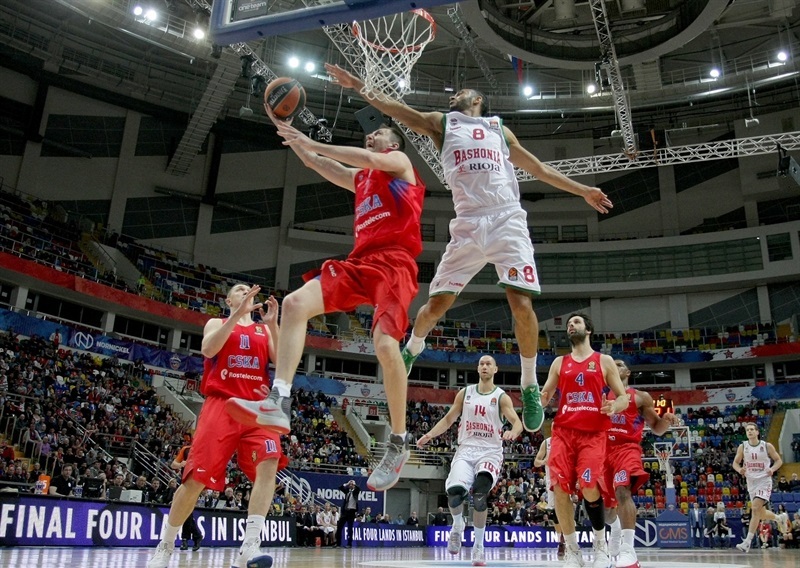 Augustine’s free-throw made it a two-possession game and this time Baskonia couldn’t come back. "I think everybody expected a tough game here. It is the playoffs, nothing is going to be easy. I mean, it is a do-or-die every single game so we expected a tough game, and I’m glad we took a good punch form them and got the win. We need only two more games now." 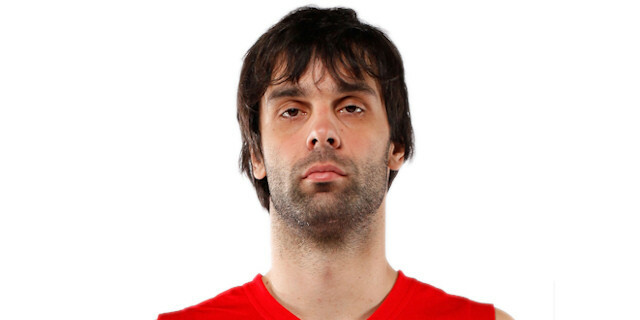 “I don’t know how we won this game. We played seriously but we made too many mistakes and we cannot play like this in the playoffs. We need to play the next game more seriously to win. 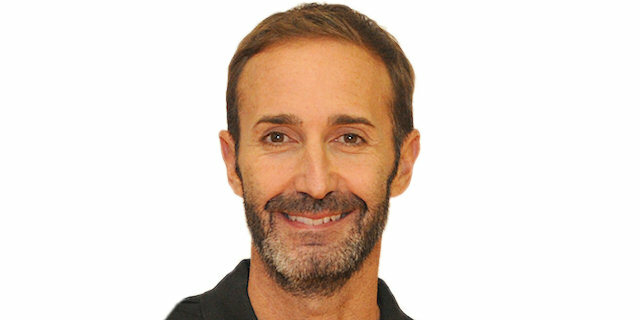 We need to play better to win the next game. If we don’t, we will lose. 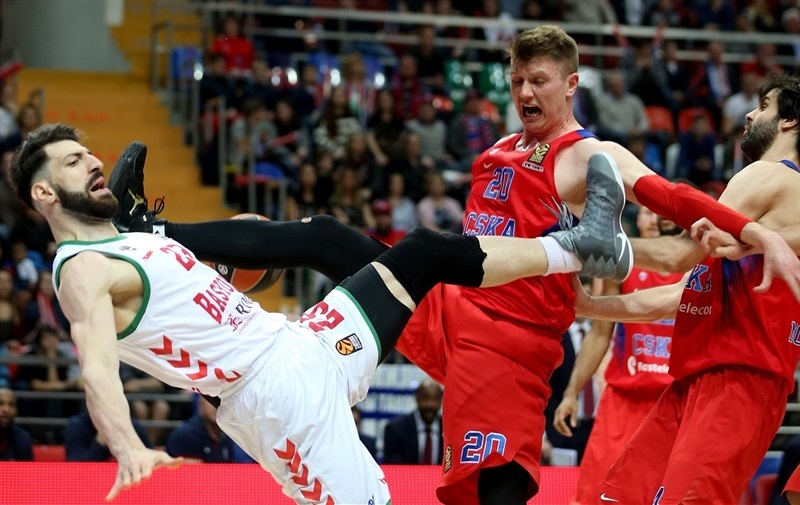 We expected Baskonia to keep coming and we expected that. They are a great team, they were in Final Four last season. They have a big quality and we expect an even tougher game in two days. Larkin did not surprise me, he is their main player and a key player for them."